Each week, Stratton Street produces a weekly update (full text here) which refers to data which is made available here in chart form. The latest reading for Q4 2015 has fallen to just 0.6. 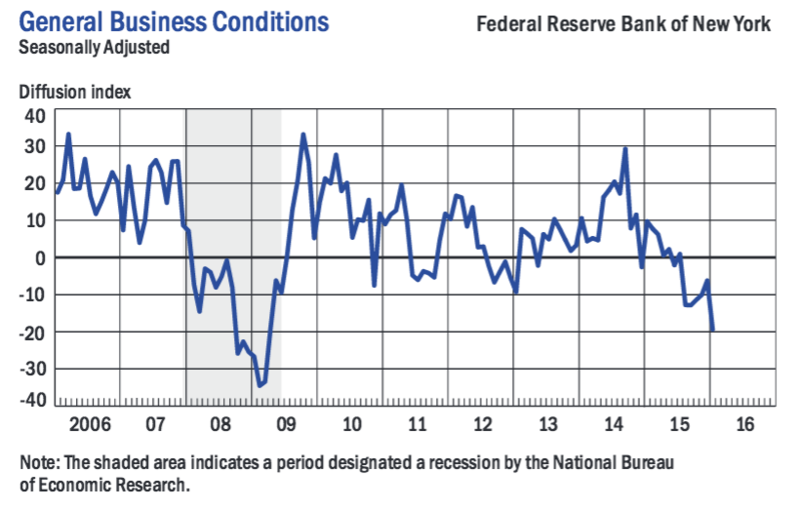 The latest reading of -19.4 in a declining growth period has not been recorded since the last recession which started in December 2007. Although we are not yet ready to predict either a US or global recession, the scope for higher US rates appears to be quite limited. The best place to be on an duration weighted basis was at the long end. Investors made losses at the short end. Short dated bonds lost investors money with the long end making neither gains or losses. 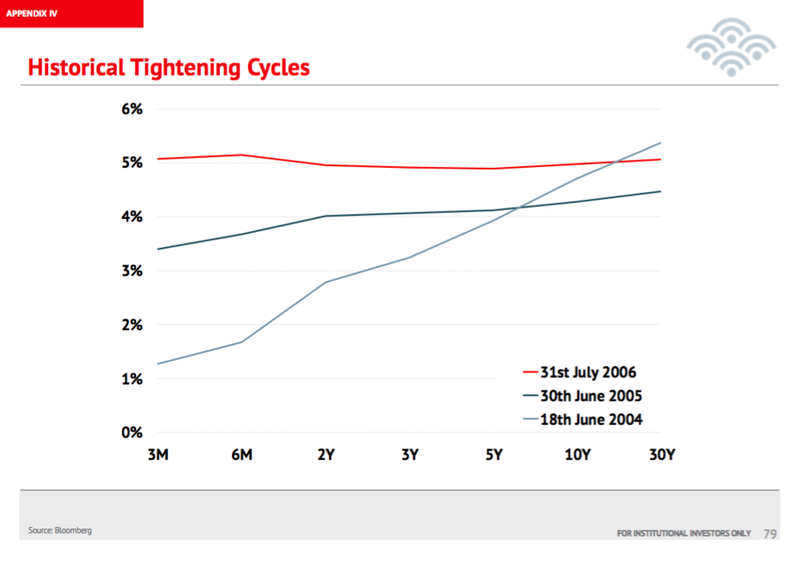 In the 04-06 tightening cycle, investors lost money for the third time (out of 3!) by investing in the short end. Investors in the long end made money. We expect yield curves to flatten in this cycle too. The latest US ISM reading of 48.2 is BELOW the level where the US last entered recession. Only robust services are preventing us from predicting a US recession at this stage. Reforming Brazil’s pension system is not only an important pledge of Jair Bolsonaro’s administration but it is also critical for putting Brazil on a more sustainable fiscal path: the Brazilian sovereign is rated Ba2/BB-/BB- by Moody’s/S&P/Fitch such has been the deterioration in its credit metrics in recent years. 4 months (almost to the day) and the bear-market drawdown in the S&P 500 has been undone. In 2018, the S&P 500 fell a fraction over -20% between late September’s peak and what turned out to be a Boxing Day sale in equities. Apart from the +-5% whipsaw over three low volume trading days around Christmas, US equities have steadily clawed back losses to yesterday touch new highs of 2,936 following another run of strong earnings. The White House confirmed yesterday that they would not extend waiver extensions in regard to Iranian oil exports, which is totally against markets expectations. This is thought to leave major importers from Iran, China at 613k b/d, South Korea at 387k b/d and India at 258k b/d open to secondary US sanctions relating to their Iranian oil imports and also opens further upside potential to oil pricing as the supply side is curtailed. Brent crude is trading ~USD71.41 per barrel, ~32.75% higher YTD, so it is only likely to be a matter of time before Donald Trump takes to twitter again to voice his displeasure that prices are too high. Tuesday’s API report showed a decline in US crude inventories for the prior week, when expectations had been for an increase, pointing to a further tightening in the market. Wednesday’s EIA data also showed crude inventories declining, the first decline in four weeks. With the Shanghai Motor Show being a good excuse to talk about the electric car market, yesterday we made some brief comments on EV supply and how it’s possible to see it accelerating over the next few years as a trifactor (at least) of developments approach maturity. Today follows with some brief comments on the demand side of the equation. Projecting demand for EVs into the future is harder with fewer and less reliable leading indicators. But a good starting point is looking into the dynamics which have driven recent demand – notably in China where the most extraordinary boom in this market has occurred – and evaluating drivers that could push it still higher (or be introduced in other markets) alongside potential constraints that could dampen the trend.